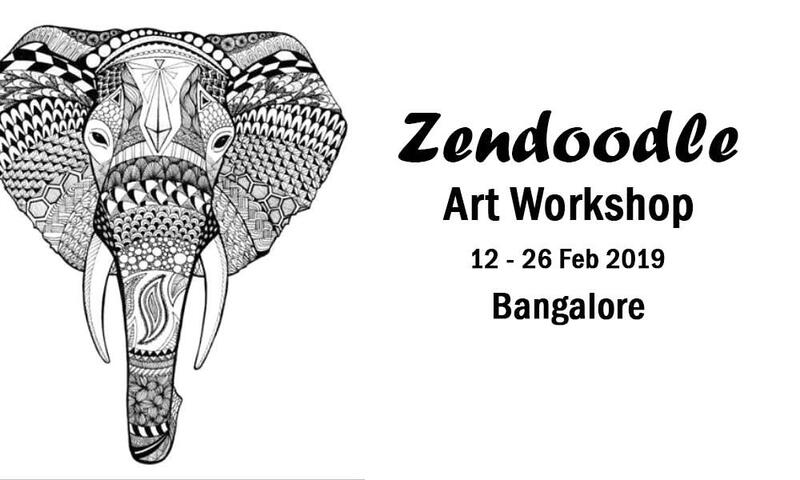 Zendoodle arts Workshop is being conducted from 12th February to 26th February 2019 in Bangalore, Karnataka. Zendoodle is a Basic Zentangle workshop for all. It's a fun, easy and a great way to spend your free time creatively. It's a beautiful meditative abstract art. This workshop is starting on 12th February 2019, till 26th February 2019 in Bangalore. Prior registration is must to attend this workshop. For the registration process, you can call/ Whatsapp at 9845721948 or mail us at eskaymart@gmail.com.